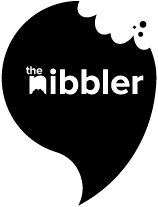 For this week’s The Big Cheese, The Nibbler sits down with Mercure Brisbane Partner David Raymond to chat about The Olympics, Macedonia and Rowan Atkinson. The freedom to create and tailor exciting new events every day. Staying on top of technological advancements so that we may offer our clients something they’ve never seen before. Snowboarding (when I can) and listening to music. For very different reasons, the Riverstage in Brisbane or the Tate Modern in London. Spent more time learning another language. Ask as many questions as you can. And when you run out of questions to ask, find more.